Regular readers will recall I wrote an article a few weeks ago, which claimed that investing the full Tax Free Savings Account (TFSA) allowance for your new-born child would turn him into a billionaire by the time he retired. Even after the effects of inflation, this investment would mean R200,000 per month income, in today's money. An explosive claim, I know, but one that I can back up with numbers. There is however, one aspect that I haven’t made clear. 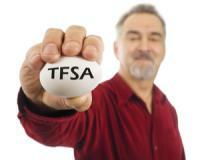 You must have the Right (TFSA) for this to work. Luckily if you chose badly when you opened your first TFSA account, you are now able to switch to the correct option. Even better, it will cost you nothing. I’ll first show you proof that the Right TFSA can make your child a billionaire. Even after accounting for costs, the JSE grows on average ±16% a year. This includes dividends. I’m going to therefore assume a conservative growth rate of just 15% per a year for my calculations. TFSA limit investments to R33,000 per year for a maximum total of R500,000. If you put away the maximum each year you will reach your lifetime limit in just over 15 years. At which point your investment would be worth about R1.3 million. If the child were to keep the account until retirement at age 65, this would grow to just under R1.5 billion. This is the result of having the “right” type of TFSA. If you were to choose the wrong one, e.g. a unit trust or even worse a fixed deposit, the numbers look very different. Designed to offer unprecedented access to the rewards from every betting tool we personally use to generate low-risk, tax-free profits of up to R1,006... R1,180.. even R1,450... or more per WEEKEND! So don't wait a second longer, start profiting from this weekends sporting events! For unit trusts, the average return of the top 10 best performing local funds for the 3 years ending in November 2017 was 13,51%. After taking into account costs, a number below 13% is appropriate. Remember there are hundreds of these funds available and I’m using the top 10 best performing for this calculation. After 15 years the investment is R1.1 million. At age 65 the investment will be worth R500 million. Not bad, but still only about 1/3 of the “right” TFSA. It’s much worse for a fixed deposit of 11% per year. After 15 years it would be under R1 million and after 65 years it would be under R200 million, less than 1/7 of the “right” TFSA. To illustrate this point even further. If you were to put away R33,000/year for just 2 years in the “right” TFSA, it would actually return better results than investing R33,000 for 15 years in either the average unit trust or fixed deposit. If you have chosen incorrectly, don’t worry. Changes in regulation this month now allow you to change without any costs. In addition, it ONLY takes 10 working days to implement. If you have any questions or need help switching, contact me at support@randswiss.com.